Abu Hider earned early recognition in his cricket career when he took a nine-wicket haul in an Under-19 ACC Trophy one-day game against newcomers Qatar in 2012. Hider was born and brought up in Netrokona, a small town 168 km to the north of the capital Dhaka. He is one of the very few professional cricketers to hail from that part of the country, so he had done well enough to make it to the age-group sides. However, the next step became arduous. 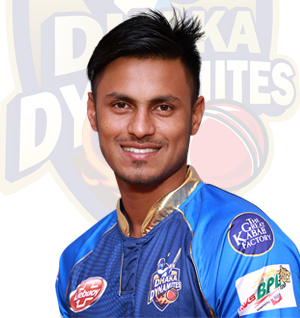 He didn't have a regular place in the Dhaka Division, so when he was picked by Comilla Victorians for the 2015 Bangladesh Premier League, nobody really recognised him. But 22 wickets in his first outing in the BPL in 2015 put him on the map. Hider started off the haul with Kumar Sangakkara's wicket and went on to remove the likes of Mahmudullah and Soumya Sarkar during this breakthrough performance. His pace and yorkers were quite noticeable, drawing the attention of the selectors who picked for three T20 tournaments at the start of 2016. Hider took three wickets in five games during that period, and went on to lose his place from the Bangladesh T20 side. He is a regular in domestic cricket, and remains in the selectors' radar for his pace.